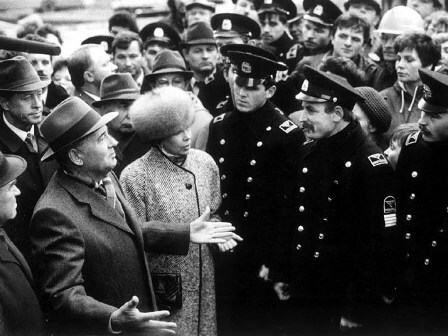 This growing skepticism notwithstanding, Gorbachev continued to argue that the main reason for the failure of his economic reform was not the Communist system as such but the hard-liners in the political leadership and economic management who should be removed from their positions of influence with the help of political reform, including direct popular elections. This view was translated into the decisions of the Nineteenth Party Conference (end of June–early July 1988), which discussed and adopted concrete measures aimed at democratizing the Soviet political system. The most important of these was the decision to hold multicandidate elections to soviets of all levels at which the voters would for the first time be given the choice of several candidates (previously, each deputy to a soviet was chosen from one candidate). Soviets themselves were to be brought into line with parliamentary conventions, including the transformation of the Supreme Soviet into a proper sitting parliament. The soviets were also to regain their governing functions, which had been previously usurped by the party bodies. The new approach was to be tested during the elections to a USSR Congress of People’s Deputies—a superparliament, endowed with the powers to change the constitution—scheduled for the spring of 1989. The conference decisions had momentous consequences for the Soviet political system and for the fate of the Soviet Union itself. Gorbachev relied on them to remove hard-liners, whose resistance paralyzed his economic modernization. He could never imagine, however, that the population would use the elections not just to vote out retrograde bureaucrats, but also to punish the party apparatus as a whole. The new electoral legislation would set in motion the process of disengaging the state from the party and dismantling the system, under which the party kept state and public organizations under its undivided control.